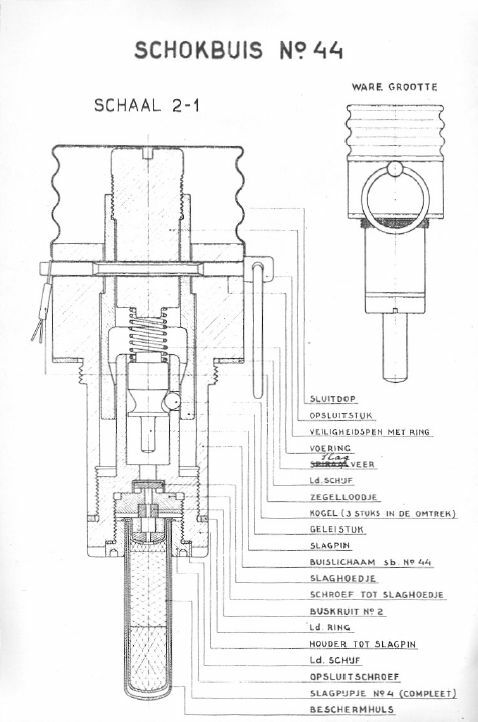 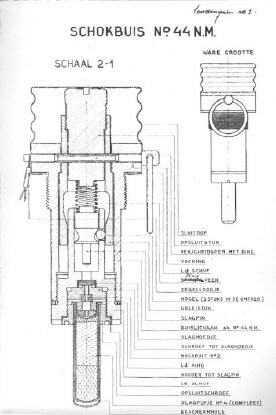 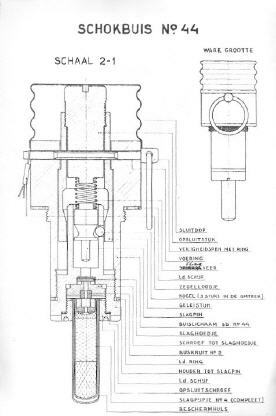 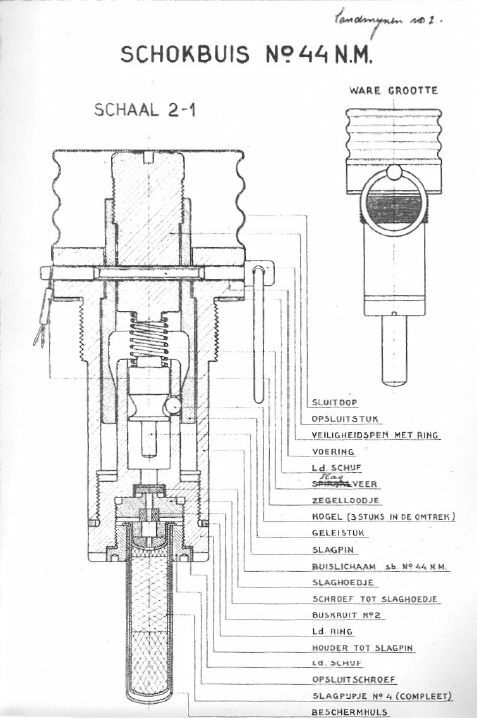 Below : Two scans on the old (left) and newer (right) model fuze No.44 for the Dutch No.2 Mine. 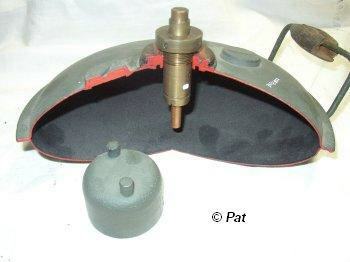 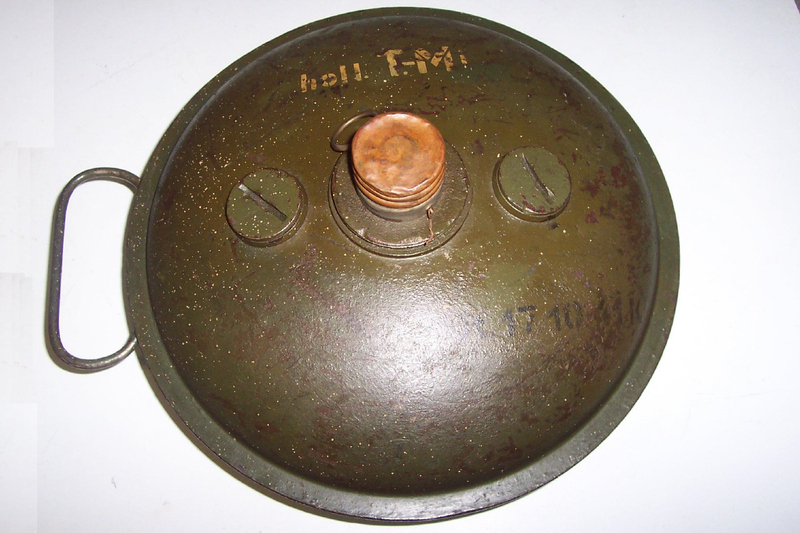 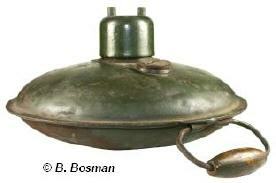 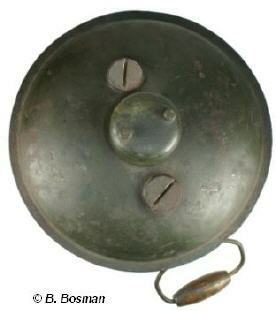 The photo below shows the metal can which held five fuzes for the No.2 mine. 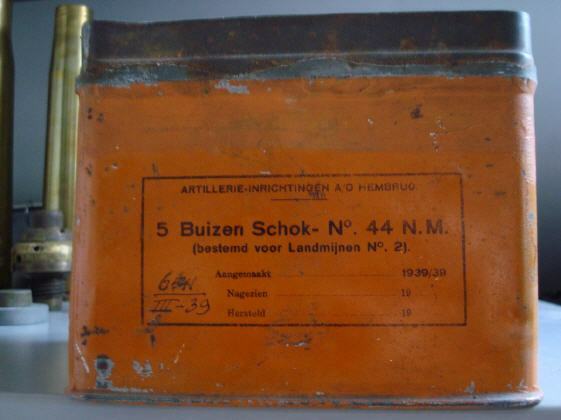 Photo © Bart Hendriks Franssen.